Check out our new spot. To check out all of our TV commercials, click here. Twin Tier Solar is a full service solar energy installation company, headquartered in Elmira Heights. 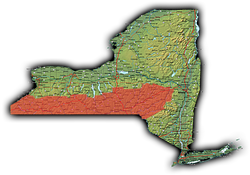 Covering the Twin Tier region of New York State, we have the expertise to design, furnish and install, complete Photovoltaic(PV) solutions for our customers. 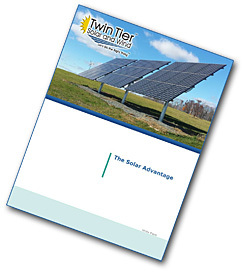 At Twin Tier Solar, we are doing more than just talking about "going green." Visit our main office in Elmira Heights and see our 15KW roof-mounted PV system in operation, reducing our own electric bills and reducing our carbon footprint. At Twin Tier Solar, all of our installers are factory certified in the products we install, and all of our PV installations are supervised by our in-house NABCEP certified personnel. specific individual requirements. We are committed to utilizing only top quality products for all of our installations.